Howard County, Md., located between Baltimore and Washington, D.C., has forged a close working relationship with Fort Meade, a military installation that is home to the National Security Administration (NSA) and U.S. Cyber Command. Every day, 12,000 Howard County residents head to Fort Meade for work, and thousands of others are employed by off-site contractors helping to fulfill the Fort Meade mission. The size and scope of the base, located just over the Howard line in Anne Arundel County, creates unique needs for transportation, education, infrastructure and other public services. 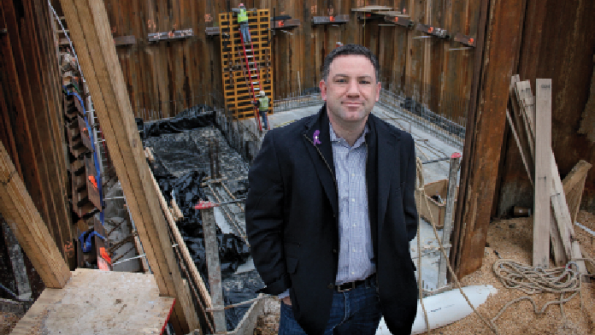 When the NSA notified Howard County that plans were in the works for an expansive data center that would create a huge demand for water, County Executive Ken Ulman saw the opportunity for expanded collaboration. The data center, when completed, will use up to 5 million gallons of water per day for cooling. 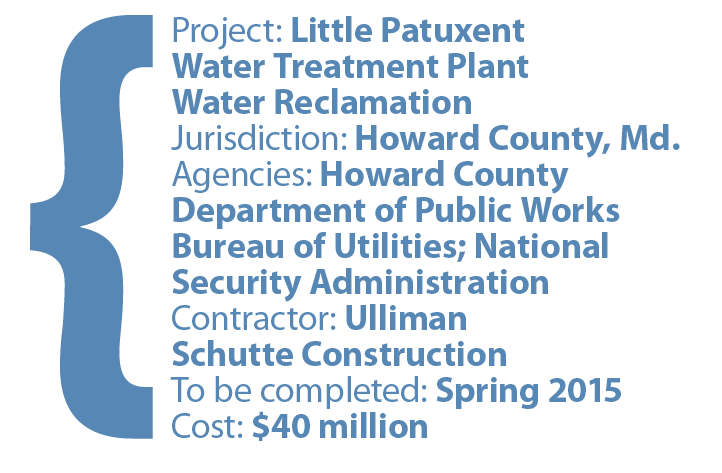 Ulman directed his staff to devise delivery of treated wastewater from Howard County’s nearby Little Patuxent Water Treatment Plant for the system. After negotiations involving sensitive security considerations, the project was underway. The $40 million construction cost for a pumping station and delivery system will be reimbursed by the NSA. Additionally, the NSA will purchase the treated water to be used in cooling, spending up to $2 million a year, which is revenue that will offset future consumer water and sewer rate increases in Howard County. Eighty percent of water delivered to the computer system will be evaporated. The remainder will be returned to a different treatment plant located on Fort Meade property, where it will be treated a second time before discharge. If the NSA were not getting its cooling water in this fashion, it would be drawing potable water from an underground aquifer. The partnership moved forward after NSA inspections found the quality of the water suitable for use in sensitive operations. The partnership is the largest reclaimed water project under construction in Maryland, and state and local officials say it could be a model for similar projects across the state.